Welcome from the official WebriverIO site! Use coupon code wdio to take $10 off. Welcome from my personal website! Use coupon code kevin to take $10 off. Start testing today with 50+ bite-sized video tutorials. 4.8 star rating from Students! "Very good course on WebdriverIO. I enjoyed the pace of the videos. All the fluff is cut out unlike 90% of the Selenium courses on Udemy." "Not gonna lie, this is by far the best web automation course I've taken (...and I've participated in lots of Selenium-esque courses)"
"Great course. Really simple to follow. Can't wait for the next chapters!" Since creating this course, WebdriverIO has undergone several changes, including a major one to core framework. Due to this, the contents in this course have inconsistencies with how you would use WebdriverIO today. Many folks have asked, "Can I still do the course with version 4, or should I wait for the update to 5?". It should be fine to start with version 4 of WebdriverIO and update later to version 5. I would recommend holding back on writing tests for your workplace in Version 4 if you plan on using those tests in the long run. Most of the changes are "cosmetic", in that you use that same basic style, just a few different commands. The general understanding won't change much between the versions. But, there are a lot of small tweaks between that two that would make upgrading the code itself a bit tedious. So if you are going to write a bunch of tests that you want to use long-term, I'd go with version 5. I have a free video on the version 5 changelog and what to watch out for on YouTube if you want to check it out. I'm currently working on completely updating the course to match the new version. This will take a bit of time, as it's a lot of content (some of it brand new) and I want to ensure I get it right. I'm doing my best to make it happen though. The update will be free to all students who have bought the course already, so don't worry about having to pay twice. As an added bonus, I've reduced the course cost by $50 until I'm able to get the new content released. Can a test framework really be that good? It took me years to settle on a test automation framework. Everything I tried seemed impressive, but never really lived up to real-world use. Then I ran across WebdriverIO, and all that changed. Because of it's amazing features and simplicity in design, I started to actually enjoy writing tests. I've seen every flavor of test tool out there, and I can honestly say that WebdriverIO takes the cake. As a Front-end Engineer, I love the technology almost more than CSS or HTML (Is that too nerdy to say?). Simply put, WebdriverIO makes testing accessible to me. As incredible as I think WebdriverIO is, it still required a pricey investment to learn. I spent six months of my job reading through documentation and searching through source code. By the end of those months, I understood WebdriverIO, but my boss didn't understand the investment I had made. I had already run out of time before even starting with the real work. I knew I loved the tool, and didn't want others to face this same reality. So I made a course about it, which is what you see here. Make it super easy for folks to learn the fundamentals of WebdriverIO. They should be able to write their first set of tests after only a few videos. Keep the videos clear and concise. Teach as much information as I can in as a little time as possible. Cover advanced topics that trip folks up. These are the things that delay progress for weeks and cause managers to get grumpy. I knew this was an really niche tool to create a course on, but I wanted this video series to be as best as I could make it, and I honestly think I accomplished that. I've gotten a lot of value out of "bite-sized" videos throughout the years (hat tip egghead.io), so following that style really fit with my goals. That's why I think folks like you will find this course worth paying for. In 5 hours of content, I teach what took me over a thousand hours to learn. That easily pays for itself in time saved. When I started building the course, I came up with the tagline "Save time. Save effort. Learn WebdriverIO". Not amazingly original, but it fits so well. Test automation tools like WebdriverIO will save you time and effort in your work by automating the manual steps of testing. And I promise to save you time and effort by teaching you WebdriverIO in the most efficient and effective way I know how. Don't trust me? Well, that's why there's a 30-day money-back guarantee. If you don't find the content valuable for any reason, just email me and I'll refund your money ASAP. Don't mess around learning alone when you have a full course available at the cost of a couple hours of work. Learn WebdriverIO and become a test automation pro, enhancing your value at work and improving your ability to get things done. In just a few minutes you'll have your first test written. Learn why the wdio test runner is amazing. Learn how "assertions" find failures for you. The utility methods you need to know. Write commands for your own needs. Implement the popular test pattern to promote readability. Integrate Cucumber for "living" documentation. Add test scalability using cloud services. Get your tests running in loads of browsers. Run your tests automagically after every update. Compare before and after screenshots of your design. Use reporters like Allure to see your results more clearly. 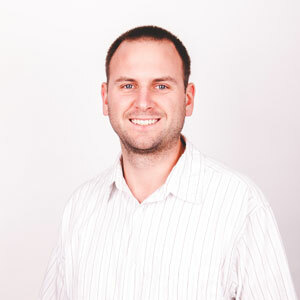 Kevin has over 10-years experience as a Front-end Engineer. He's released a free 6-day email course on Visual Regression Testing and runs frontendtesting.com. He has presentated multiple times on Front-end Testing at various conferences. Along with that, he helps run testyourlog.in and Hill Country JS, a Front-end meetup in San Antonio. In his free-time, when he's not playing with his kids, Kevin dabbles in scale model building, tabletop gaming, piano and gardening. Is there a team license available? There is a team license available for up to 10 individuals. Contact me for details. What prerequisites are there to this course? 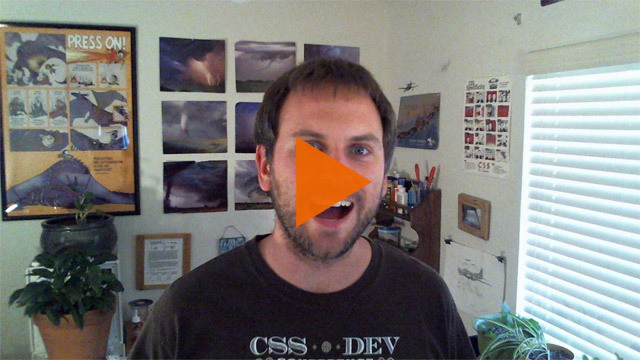 If you haven't worked with the command line before, here's another free course on the subject. If you feel like the content isn't what you were expecting, let me know within 30 days of purchase and I'll give you a full refund ASAP. I'm a front-end dev. Is this course for me? Are the videos DRM free? The course is hosted through thinkific.com, which is where you'll be able to access all the content indefinitely. Definitely. Contact me and I'll send you details. Are you available for online or in-person consulting? Yep. Reach out to me on CodeMentor.io for more details. What shell/terminal are you using in the videos?? I use a combo of iTerm2 and Oh my zsh. I use the agnoster theme. I also have a dotfile repo, which is mostly up-to-date. Have a question I didn't answer? Reach out and let me know! Check out the free 6 day Learn Visual Regression Testing with WebdriverIO email course!